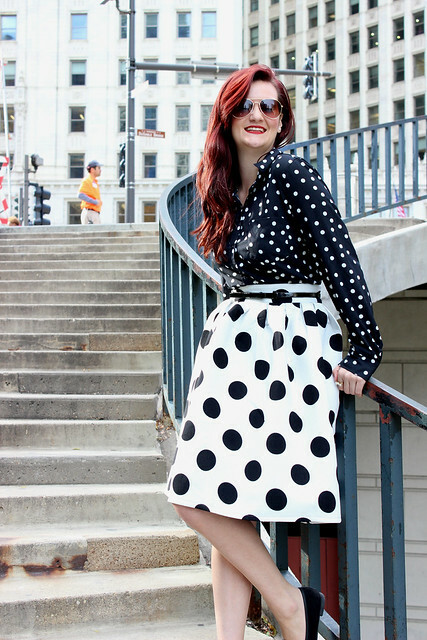 The Trendy Sparrow: Outfit of the Day: Polka dots! Polka dots! Polka dots! 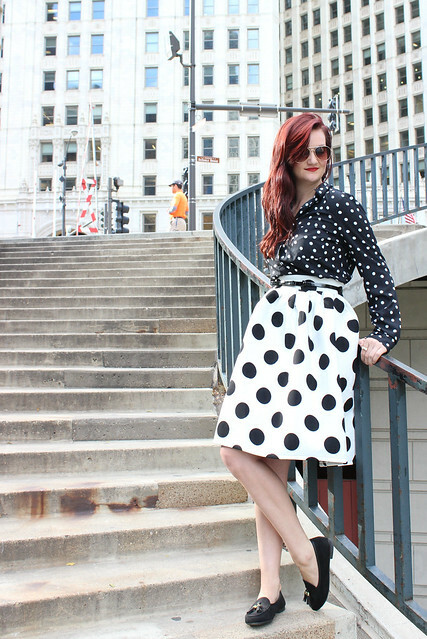 Outfit of the Day: Polka dots! Polka dots! Polka dots! One of my favorite quotes from New Girl is when Jessica Day (Zooey Deschanel) says "I brake for birds. I rock a lot of polka dots. I have touched glitter in the last 24 hours..." If there is one thing I can relate to, it's that I love polka dots! 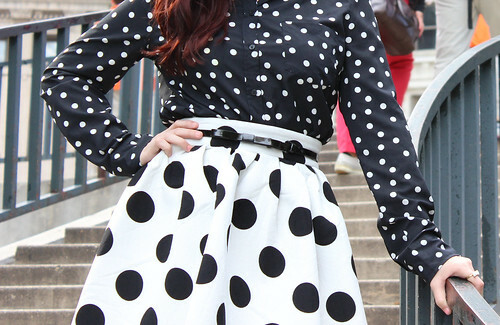 I've been really into pattern mixing lately and I wanted to try something bold with this new polka dot skirt. And apparently it has caused me to invent a new sport I like to call extreme pattern mixing (coming to the Olympics is 2024). 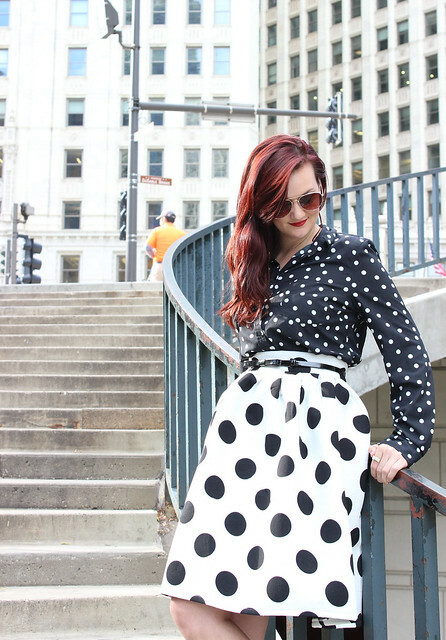 I saw this black polka dot blouse in my closet and had one of those "it's just so crazy it just might work!" moments. And you know what? I think it did! I decided to top it all off with a classic red lip.